PRP Therapy is an effective, non-surgical restoration treatment for both men and women experiencing hair loss. At Niumee we offer PRP Therapy which is an effective, non-surgical restoration treatment for both men and women experiencing hair loss. This treatment uses the patient`s own blood which is a natural growth factor in order to treat balding and thinning hair. 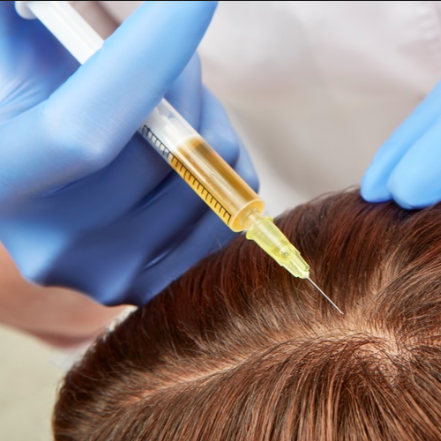 The blood is injected into the scalp using a special micro needle. * Treatment ready in 1 hour. Regular Consultations are held weekly. Price for treatment is 465euro. Visit us today and let us help you get your confidence back with this PRP Hair Stimulation Treatment.